Join Dr. Paul Chappell on this once-in-a-lifetime tour revisiting sites of the Apostle Paul's missionary journeys. Dr. Chappell will be your host and Bible teacher for this journey. Our adventure starts with an evening flight to Rome, Italy. Upon arrival in Rome we will transfer to our hotel on the outskirts of Rome for dinner and a night of rest. Monday is a day spent at sea enjoying the modern luxuries found onboard the Jewel of the Seas as we sail the Mediterranean. The first stop of our cruise will be Chania, Crete. Chania is the second largest city of Crete and one of the most beautiful cities on this island. The city's rich history can be traced through historic buildings and monuments with Venetian, Turkish, and Greek architecture. The day is at leisure for you to explore the ancient city of Aptera or the Firkas Fort, which boasts a panoramic view of the Venetian Harbor and the spectacular Venetian lighthouse. Wednesday morning we arrive at the picturesque Greek island of Mykonos. 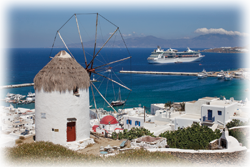 There you may choose to shop, sample a local treat, or enjoy a relaxing stroll among the whitewashed houses of this iconic Greek fishing harbor. Following dinner back on the ship, Dr. Chappell will conduct a Bible study. On Thursday we dock in the beautiful port of Rhodes, Greece. This enchanting site, the most important of the three great cities of ancient times, is guarded by Medieval walls constructed by the Knights of St. John in the 13th century. There we will travel by bus along the eastern coastline to the city of Lindos. From the Acropolis there are breathtaking views of the great expanse of the Aegean Sea, and St. Paul's Bay where the Apostle Paul cast anchor during his historic voyage to Ephesus. 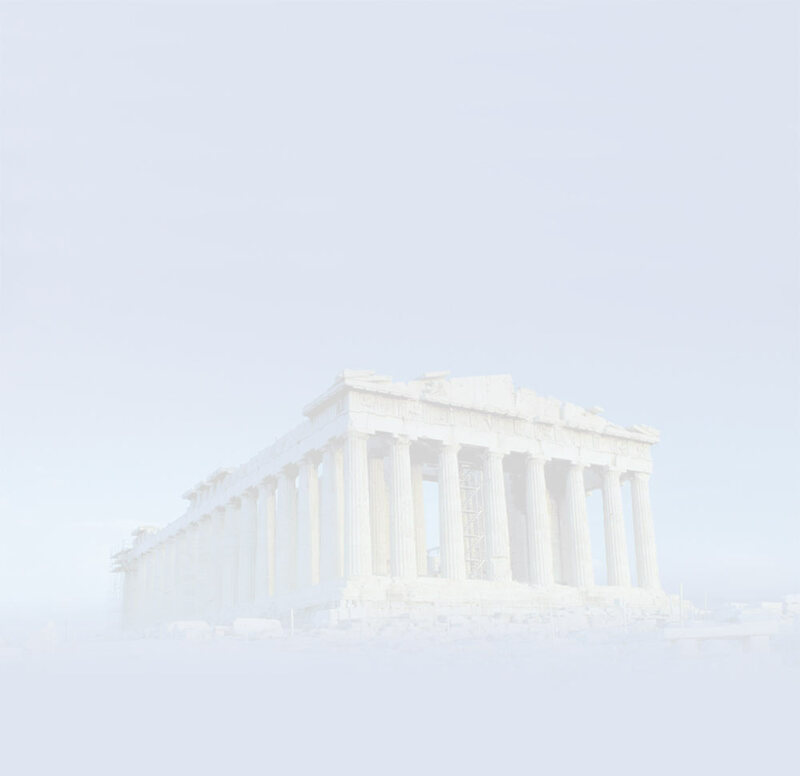 If you wish, you may climb the Great Staircase to the Temple of Athena. 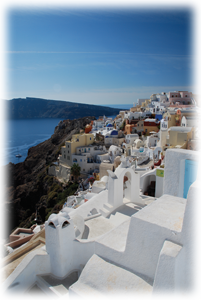 Friday we call on the crown jewel of the Aegean, the island of Santorini. A cable car ride to the mountaintop city of Thira is provided. The day is yours to explore the many art galleries and shops or relax over a cup of coffee as you take-in the scenic views below. Saturday we arrive at Piraeus, Greece, the port city of Athens, to visit the historic city and birthplace of civilization. Our driving tour will include the Olympic Stadium, Temple of Zeus, Hadrian's Arch, the Greek Parliment and more. 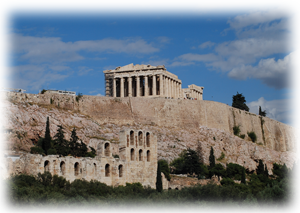 We will then visit the Acropolis and Parthenon. Nearby we will gather on Mars Hill where Paul addressed the Athenians (Acts 17:22-34). There we will pause for Dr. Chappell to teach about the "unknown god." After lunch there will be time for shopping in the old Plaka district. Sunday is another relaxing day at sea. You can take a swim, read a book, or enjoy the wonderful facilities of our cruise ship. This evening Dr. Chappell will lead us in a Bible study to prepare us for our time in Rome. Monday the ship calls on Naples, Italy the port of the once thriving and sophisticated Roman city of Pompeii. Here we will step back in time to get a glimpse of everyday life in the ancient world. We will take a guided tour of this famous city that lies at the foot of Mt. Vesuvius. Tuesday morning we return to Civitavecchia and begin our tour of the Eternal City of Rome. Sites to be visited include: The Colosseum, the Arch of Titus, Circus Maximas, Piazza Venizia, the famous Spanish Steps, the monument of Vittorio Emanuele, and the Trevi Fountain. On Wednesday we will visit Vatican City, St. Peter's Basilica, the Sistine Chapel, the Roman Forum, and the 2,000-year-old Pantheon. We will then pause for a time of worship near the ruins of the Mamertine Prison where it is said that Paul was imprisoned for his beliefs. Our tour will conclude with a visit to the cathedral of St. Paul Outside the Walls, the location of Paul's final resting place. Thursday morning we will say "Ciao" to Italy and transfer to the airport for our return flight home, having witnessed numerous historic wonders of our Christian faith.